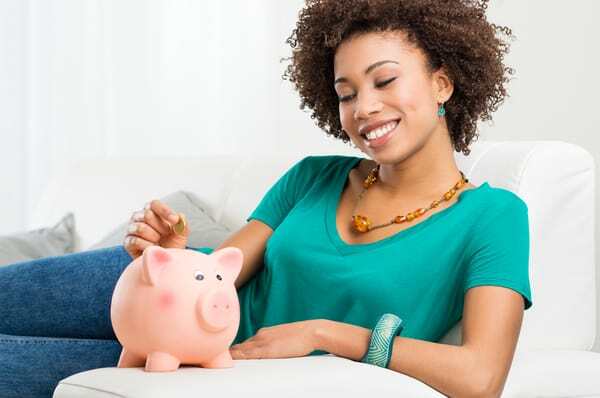 Is saving money hard for you? Do you feel like you have the money to save but somehow there’s nothing left at the end of the month? I remember a time when I felt exactly like you. I had a little extra cash, but somehow I couldn’t save it. Little did I know, I was making a big mistake if I wanted to be serious about saving money. Fast forward to 2019, I am saving 15% of my income on autopilot and another 15% manually for a total of nearly $20,000 savings per year. 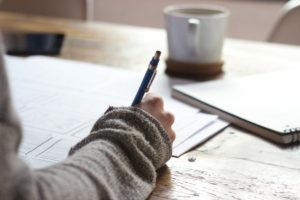 If you want to be serious about saving money, if you want to learn to be an aggressive saver, and if you want to develop the number one financial habit to building wealth then you need to read this entire article. 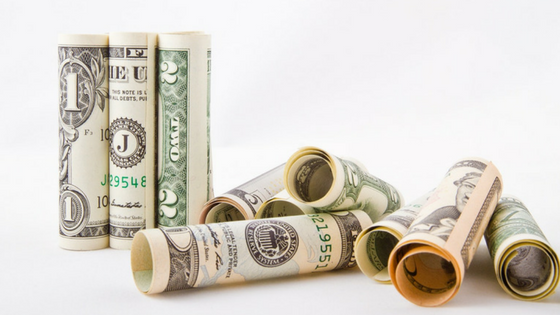 This budgeting method will be a game changer for your savings account and I am going to show you exactly how to pay yourself first so that you can crush your savings goals and reach financial freedom. This post contains affiliate links which means that I may earn a commission on products you buy at no cost to you. Please read my full disclosure for more details. Many financial experts agree that paying yourself first is the ultimate way to reach your financial goals and build wealth. 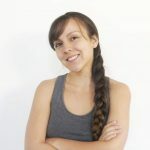 This method is extremely effective for those who want to save money but need more discipline with saving, or for those who want an easy and painless way to save money without really budgeting. Quite frankly, I think everyone should be doing this. But what does it really mean to pay yourself first? Here’s everything you should know about paying yourself first. 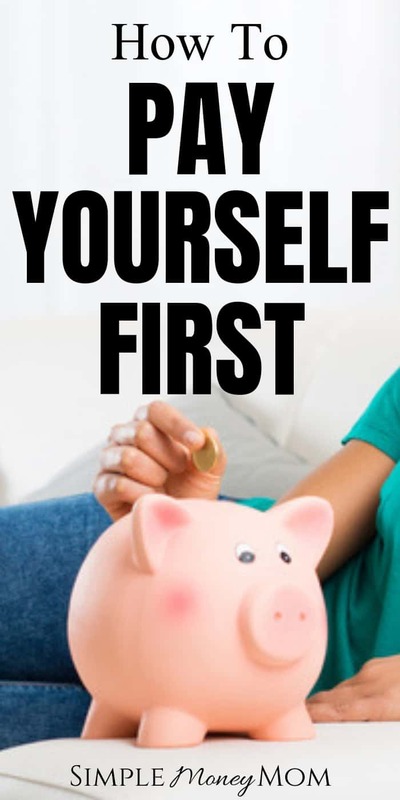 WHAT EXACTLY DOES “PAY YOURSELF FIRST” REALLY MEAN? So what does paying yourself first mean? Well, it means that you prioritize your savings before ANY other financial obligations. It might sound crazy to some people that someone would fund their savings before their mortgage but it works, and it’s the secret of wealthy individuals and families. WARNING: It does NOT mean that you treat yourself to the movies first. It doesn’t mean that you fund your fun envelope first. Paying yourself first is the key to building wealth and you need to strategically plan for your future to make savings a priority. Paying yourself first puts your savings goals ahead of everything else in your life. Yes, even before your mortgage, before your electric bills, and before your groceries. Doing this ensures that your hard earned money goes to the place that secures your financial future. Instead of trying to “catch up” later, you’ll begin to create a good financial habit that will follow you well into your retirement years. This is NOT how to pay yourself first. This is NOT how you will build serious wealth. Does it feel like it’s going to take FOR.EV.ER. to reach your savings goals? Then, you need to start paying yourself first. You see, when you save your money before paying your bills you are much more likely to reach your goals. This is because you will adapt and change your variable expenses to fit instead of the other way around. This is especially important when you are a “spender”. If you keep putting your savings last, there won’t be anything to save. Something will always come up. It is so important to pay yourself first in order to reach your long term goals and it’s the secret financial habit of millionaires. 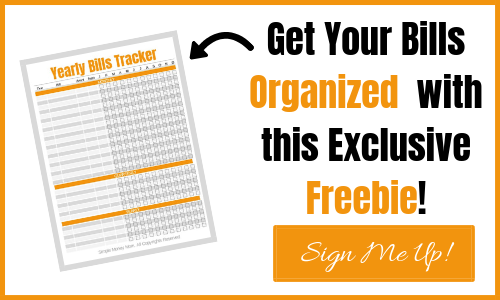 I’m going to show you the best way to figure out how you can start to pay yourself first. Personally, I save 3 times in my budgeting method. Once in the very beginning (paying myself first out of direct deposit), then when I create my zero-based budget, and again when it’s the day before payday and I still have money leftover. When figuring out your safe amount to save, you’ll want to create a budget for your necessary expenses first. Write down your paycheck amount. If you have irregular paychecks then get the last 2 months worth of pay stubs and take the minimum amount. If you have one paycheck that is abnormally lower than the rest, then take the next lowest income. I suggest taking the minimum as opposed to the average because you could always save the extra but you’ll be placed in a negative situation of you come up short. I always underestimate my income and overestimate my expenses. It has never steered me wrong. As an example, I’m going to use $2,100 per paycheck. Subtract your fixed expenses from your paycheck. Your fixed expenses include everything that is the same amount every month. So for this paycheck, I have $1,120 leftover. Subtract your “must-have” variable expenses. Remember, the reason we are paying yourself first is to make our savings a priority. For this category, the only thing that I will be subtracting is groceries and gas. These are things that I absolutely need. For this paycheck, I have $860 leftover. Repeat this step for each paycheck in the month. If you get paid biweekly, you will do this two times. If you get paid weekly, you will do this four times. Just make sure you include all the bills that will be paid with each paycheck. You want to make sure that when you automate your savings, you’ll still have enough to pay your bills, feed your family, and cloth your kids. Tip: keep in mind that this is for one given month. If the month you are calculating this savings rate for is not your average month, then gather your average spending and your average income. Making sure that you underestimate your income and overestimate your expenses. Once you figured out how much you have leftover in any given paycheck, you’ll want to decide how much to put towards savings. In this example, we have $860 left from paycheck number one but only $335 from paycheck number two. If we averaged this amount, we would put $598 into savings. However, if you do this, you will come up short for your bills on paycheck number two because you put too much into savings. Instead, take least amount of money that will still leave you room for other expenses. It’s time to automate your savings. Automation can be one of the best things to help you save money. I can show you how you can easily automate your savings but first, you’ll need to decide where you are going to put your savings. When paying yourself, you may be wondering where to put your savings. There are many options that are good to start. The most popular include retirement, home, college, and investments. Retirement accounts would be my first choice. You can take advantage of many different programs and take advantage of making your money work for you. 401(k): an employer-sponsored retirement account. This is a pre-tax account, meaning, you won’t be taxed until you withdraw the funds. Your employer may contribute to your account and match what you put in up to a certain percentage. IRAs: this is an after-tax account. This means that you will be taxed before you put the money in but you won’t be taxed when you withdraw from now. Although there is no employer match, you may use this for home-buying, education, or emergencies under certain circumstances. 529 Plan: this is a tax-advantaged college savings plan. The money is tax-deferred when used for a qualified education expense. Just like any investment, you have the ability to earn money on your contributions. This gives you the chance to save money for college at a faster rate then if you would leave it in a regular savings account. Home: saving for a home is one of the biggest financial decisions you can make. It is a huge investment and therefore requires good planning. If owning a home is in your future, then consider saving money for a home as a priority. Vehicle: our vehicles are the next biggest investments aside from mortgage and college. However, most financial experts suggest that financing a new vehicle is one of the worst decisions you can make. Why? Because it depreciates in value as soon as you drive it off the lot. You can get ahead of the game by paying for a car in cash. Real Estate: real estate investing can be a lucrative business when you understand how to do it right. It can be a lot of work but the payout and return in investment can prove to be worth it. Stock Market: the stock market is another place that you can make your money work for you. One thing to remember is that investing is a long term game. You’ll need to be willing to ride the highs and lows or you’ll be bordering on gambling if you try to guess what’s going to happen. This is the easiest way to save because you don’t ever see the money. When you get your paycheck, the savings will already be deducted. To do this, you’ll need the routing number and account number to your savings account. Believe it or not, you also have a routing number and account number for your 401(k) and IRAs as well. You can find these numbers in your online dashboards, but if not, call customer support and they should be able to give you these numbers. Now, if you can manage your own direct deposits through your employer online portal then all you have to do is add a direct deposit, input your routing and account numbers, indicate how much you will be contributing either as a percentage or dollar amount to this account, and save it. If you cannot manage direct deposit on your own, contact your HR department to help you add or split your money each paycheck. This method will require a little more discipline because you’ll have to account for processing days. There are times when a payment is scheduled but doesn’t come out until 3 days later. So you’ll have to choose a date that will reflect the best outcome. Generally, payday is the best. You’ll just have to make sure to keep an eye on your account to make sure your payment went through before spending it on other things. To do this, you can set up a bill pay through your bank. Or you can set up an automatic payment through your savings account if your provider allows it. Make it recurring so it is automatic. This method requires the most discipline. Keep in mind that you will be tempted to save less to spend more. Especially if you see that you have more money leftover. When your paycheck comes in, make it a top priority to make a transfer into your savings the same day. It is very important that you do not account for that money. In your head, that money should already be gone and accounted for. It may take up to 3 days to actually leave your account so be careful that you don’t spend or budget this money for something else. Watch your savings grow effortlessly.